George Wrighster, III played six seasons in the NFL with the Jacksonville Jaguars. After his professional football career ended, he served as a motivational speaker for the U.S. Army, Marine, and Navy troops in Germany, Jordan, Turkey, Kosovo, Bosnia, and Italy. As part of the Wounded Warriors Project, Wrighster also served as a motivational speaker for the Marines at Camp Pendleton. 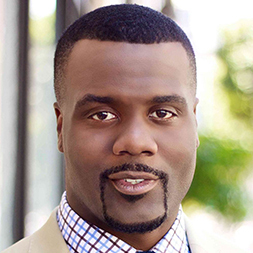 He continues to work with the NFLPA as a member and speaker, and has assisted the organization in designing new programs for former NFL players undergoing career transitions. In 2014, Wrighster entered the field of sports broadcasting, hosting an LA daily afternoon radio show called “The Drive” on The Beast 980 KFWB. He has been invited to appear on FOX, ESPN2, and ESPN3 as game analyst. He is an entrepreneur who has owned and invested in several different businesses, and most importantly, he continues to serve his community. In 2017, he formed the Wrighster Family Foundation with his wife, Danisha. He lives with his wife and their four children in Los Angeles, California. 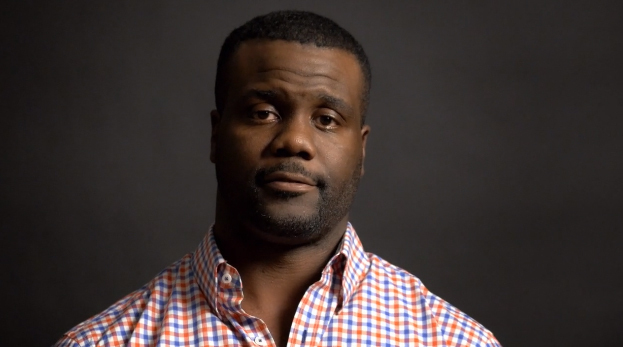 Do NFL Players Think Differently? Football is more than a physical game; mental agility and thinking skills are also important. The Brain Health Study focuses on how NFL players think, and provides immediate feedback. What are the questions about cognition and thinking style that are most important to former NFL players and their family members? Former players can take the web-based Brain Health Study to learn about their cognitive strengths. George & Danisha Wrighster discuss brain health. What are the questions about cognition and thinking style that are most important to former NFL players and their family members? Former players can take the web-based Brain Health Study to learn about their cognitive strengths.